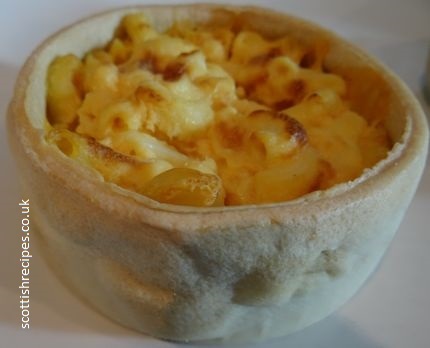 The macaroni pie is a distinctly Scottish invention famed for its cheesy topping and pastry base and sides, filled with macaroni pasta. The inner ingredients stay nicely moist due to the cheese topping, whilst the crust of the pastry stays firm but crumbly to the taste. First Minister Nicola Sturgeon even tabled a motion in Scotland's Parliament to ask Greggs to put macaroni pies back on their menu when they took them off the shelves due to low sales - because her father loves them! A petition to save them received over 1300 signatures. We are unsure of the history but welcome readers thoughts.